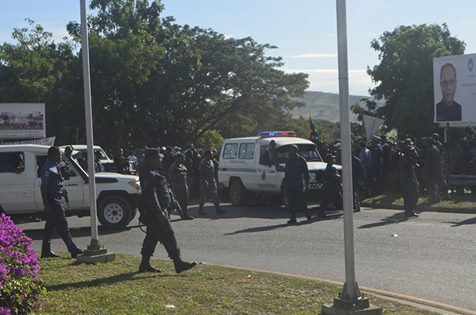 The PM in parliament this morning announced that a commission of inquiry will be established as soon as possible to investigate the police shooting incident at the UPNG campus. O'Neill when responding to the question by MP for Rabaul Dr. Allen on the incident said this is not something they want to see happen and accused certain leaders for inciting the protest that lead to this morning's shooting. "This is not something we want, leaders inciting citizens and students to go out there and misbehaving; who is going to be responsible?" O'Neill asked. Meanwhile, a frustrated Oro Governor Gerry Juffa urges the PM not to falsely accusing Members of the Opposition for inciting the situation. O'Neill said the incident is unfortunate, but it is now a police matter and the commission of inquiry will get to the bottom of this matter.